Water Features– Add visual interest to your pool with the addition of water features like fountains. Spa Additions– Warm up after a chilly pool day in your own spa addition! Underwater Lighting Upgrades- When you are looking for more efficient lighting for your pool, underwater lighting upgrades are a great pool renovation. New Pumps & Filters– This smart swimming pool renovation can keep your pool cleaned and running efficiently. Slide Addition– With the addition of a slide, you are adding loads of fun to your swimming pool. New Shape– A new shape can help you customize your pool to suit your needs today. New Liner– Liners can start to look worn, torn or sun-bleached after several years. A new swimming pool liner is a renovation that allows you to see instant change. 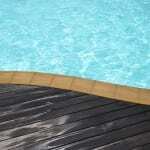 We would love to discuss swimming pool renovations with your further here at S & H Pools. If you have questions or would like to learn more, please contact us today!